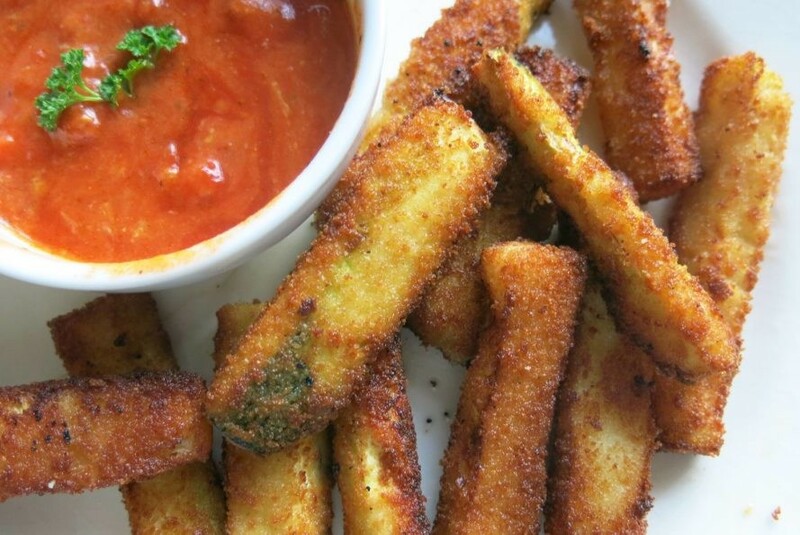 These delicious, gluten-free, baked zucchini fries are the perfect healthy snack, and evidence that fries don't have to be junk, fried, or even made from potatoes. 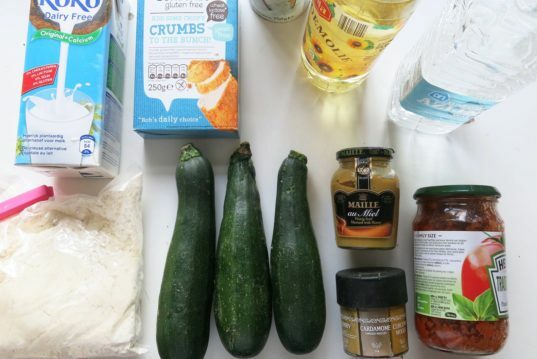 We first cut the zucchini into batons, set a small assembly line of chickpea flower, dairy-free milk and gluten-free breadcrumbs, dipped them in each container and baked them for 40 minutes. The crumbs along with a hot oiled tray will make them crunchy and divine like regular potato fries, yet, much healthier. Preheat oven to 420F and grease a baking tray. Set aside. 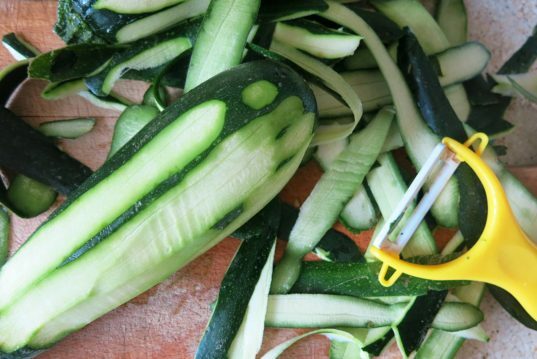 Peel the zucchinis and cut the ends. 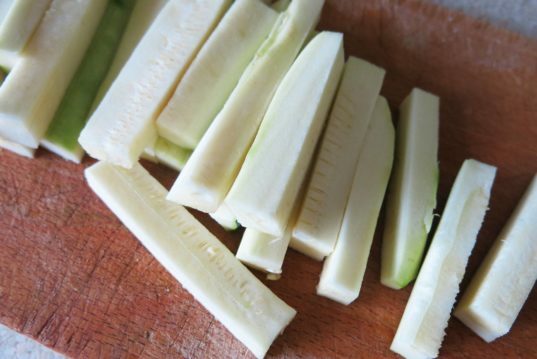 Cut the zucchinis into 1/4-inch planks. Stack planks 2 to 3 high and slice them vertically once again into a similar thickness. Set aside. 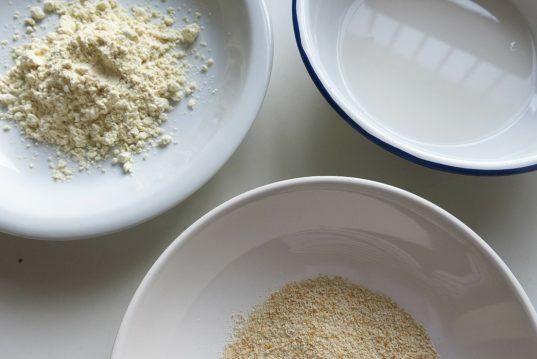 Place the flour with salt, milk and breadcrumbs in different bowls. 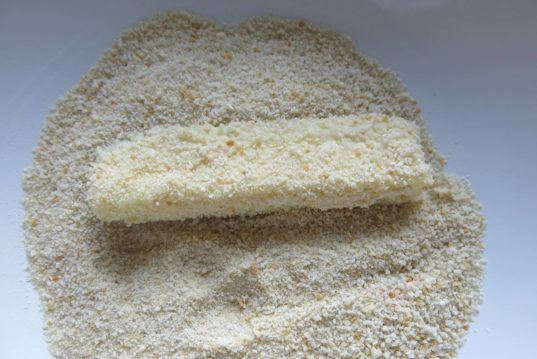 Dip a baton in the flour, sticking it in all its faces including the ends. Then dip in the milk and afterwards in the breadcrumbs. Place on the tray and repeat on all batons. Once you’ve finished coating all the batons, place fries in the oven for 40-45 minutes or until golden and crispy. 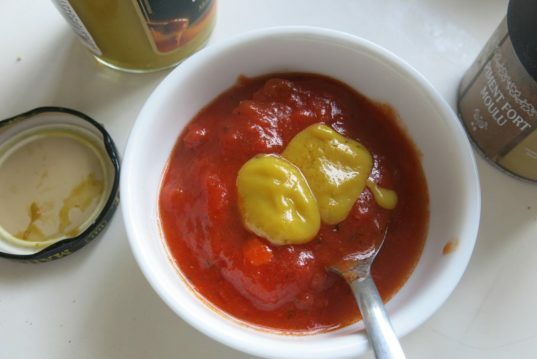 Serve with your choice of sauce or with quick homemade ketchup made from a base of tomato sauce, with mustard, vinegar, sunflower oil, brown sugar and cayenne pepper. 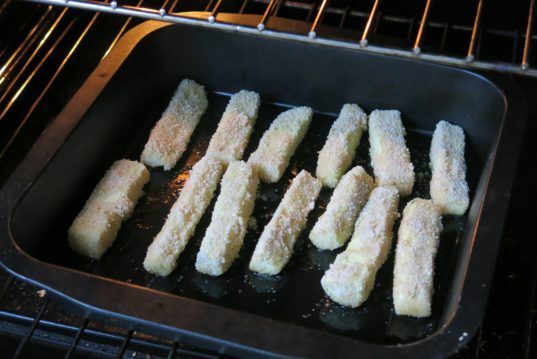 Once you've finished coating all the batons, place fries in the oven for 40-45 minutes or until golden and crispy.